Buying a home is exciting and scary all at the same time. Knowing what to do during this crucial process will ensure you make informed decisions. You want to take your time during your home search. Be patient and don’t rush. Think through your decisions and follow the following six steps to buying a home. Your credit score will be a major factor when you are applying for a mortgage. 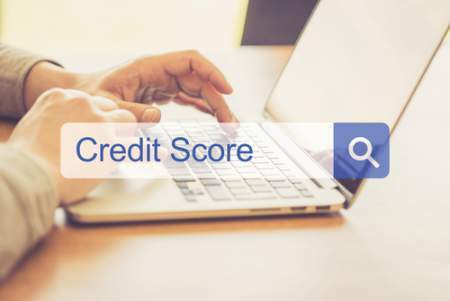 It would be helpful for you to view your credit to understand what factors are affecting your credit score, especially if your credit score is low. Before you start the home buying process, examine your credit report. If you must fix items on your report, you can do so long before you apply for a mortgage. Late payments can really hurt your chances of getting a loan so now is the time to start making payments on time. Lenders like to see responsible use of credit, as well as timely payments. The importance of saving money cannot be stressed enough when it comes to buying a home. You are going to have out-of-pocket costs you’re going to have to pay when you buy a home. Some of the costs include closing costs, down payment, prorated taxes and utilities and other fees. You may also need to pay for private mortgage insurance as well as taxes and homeowner’s insurance. If you have ready access to funds for such items, it will make the process go more smoothly. Find a real estate agent who is knowledgeable and experienced. They should know the market in which you’re looking to buy a home. You want to work with someone who has a good reputation within the real estate industry. Your real estate agent is going to represent you all the way through the process starting with the home search and ending with the closing on the home of your dreams. They are there to provide expert advice and help you make a reasonable offer on the home of your choice. You absolutely must know how much you can afford before you begin the home search. If you just go out and start looking at homes without getting pre-approved for a loan, then you really have no idea if you can afford the homes you’re viewing. This can lead to great disappointment should you find a home you love and then find out you can’t afford it. Get pre-approved and start shopping for the home of your dreams. Once you find the perfect home, you can rest assured knowing you will be able to obtain financing because that home will be within your pre-approval range. Your real estate agent will help you assemble an appropriate offer. They know the market and have a good idea of how much you should offer on a home. You obviously don’t want to offer too much. But, you don’t want to offer too little because if you do, another buyer can come in with a better offer and get the home under contract which leaves you out in the cold. A real estate agent is crucial when making an offer because they can reduce your chances of winding up in this situation by assisting you in drafting an appropriate offer. Once your offer is accepted, your attorney will work with the seller’s attorney to draft a contract of sale. This would be the time to add any items to the contract that you might require, such as any repairs you require the seller to make to the property. Once the contract is finalized, you will sign it. You will need to schedule a property inspection. If everything passes inspection, including structural, electrical and plumbing, the closing will be scheduled. When you go to closing, be prepared to pay the closing costs and other up-front fees. 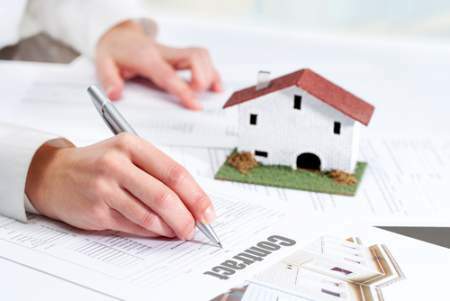 Once you sign all the paperwork and close the transaction, you will get the keys to your new home. This is the most exciting part of the entire process. Buying a home doesn’t happen overnight. It takes time, energy and persistence. But, if you have patience and perseverance, you will find the perfect home. This is a long-term commitment and shouldn’t be taken lightly. It affects every aspect of your life so make sure you’re making the right decisions to obtain the perfect home. Your real estate agent is the best source of information about the local community and real estate topics. Give Abby Cobb a call today at 443-366-5006 to learn more about local areas, discuss selling a house, or tour available homes for sale.